A few weeks ago, we took a family vacation to Disney World…with a 2-day detour to Universal Studios and Wizarding World of Harry Potter! There is so much to do and see! Though both Universal parks are huge, we spent almost all of our time in Wizarding World, living every minute! The entire family got wands, I almost bough robes (but they were too pricey), and we got a little taste of London when we stopped by The Leaky Cauldron for lunch! In all of Wizarding World, there is amazing attention to detail. The employees are in character and dressed just like you’d expect wizards to be! In fact, when we were ordering at the Leaky Cauldron, Dude asked for a Coke, without missing a single beat, the waitress (wait-witch?) says, “That’s a muggle drink, we don’t serve those here,” and just waited! I almost died laughing! (He ordered an apple juice, the rest of us had already ordered butterbeer). When I got home and realized that this month’s Eat the World Recipe Challenge would be England, I was over the moon and knew that I wanted to recreate my Leaky Cauldron meal! Anyway, Hubs and I loved the Cottage Pie (I liked it a bit better than the Leaky Cauldron version). The kids were super skeptical about the potatoes on top, then Dude nibbled a hole in his and ate the filling beneath, while Spud ate the potatoes, then barely touched the filling (mostly because of the vegetables) – go figure! Fill a large pot with salted water. Add potatoes and boil until tender (15-20 minutes). Drain and place into a bowl. Mash with butter, milk (enough to make smooth potatoes), parmesan, and salt. Set aside to cool slightly. While the potatoes boil, place the beef, onions, carrots, and celery in a large skillet over medium heat. Break up the beef and cook for 5-10 minutes or until beef is browned and vegetables are tender. If there is excessive grease, drain it off. Stir in the garlic, paprika, oregano, thyme, salt, pepper, tomato paste, wine, and Worcestershire sauce. Cook for a couple minutes to reduce the liquid. Stir in the flour and cook for a minute. Slowly add the beef broth. Cook for 2-3 minutes to allow the broth to thicken. Stir in the peas. Spoon the filling into 8 individual pie plates or ramekins. Load the potatoes into a piping bag fitted with a large star tip (I used an Ateco 847) and pipe the potatoes over the filling in each mini pie (alternately, spoon the potatoes over the pies and spread with the back of a spoon). Bake in the preheated oven for 30 minutes or until the filling is bubbly and potatoes are browned. Such a great trip you had!! 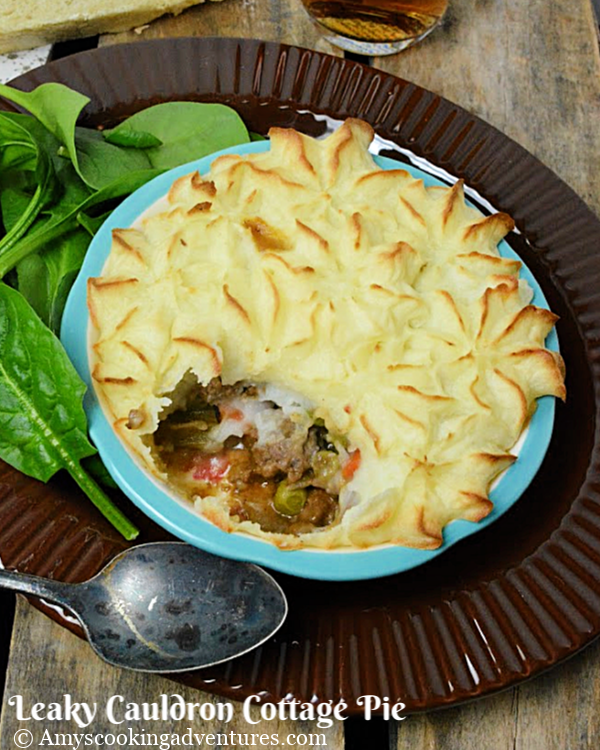 And cottage pie, we've always called it wrong, shepherd's pie even though never used lamb ;-) . It looks so tasty and also pretty! 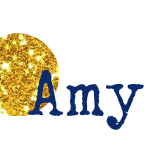 Great minds Amy....I'm anxious to do the Universal Studios Wizarding world. I wondered about the title when I saw the preview. Now I get it. This looks delicious. I don't think I ever knew that distinction between shepherd's (lamb) and cottage (beef). Thanks for sharing that. 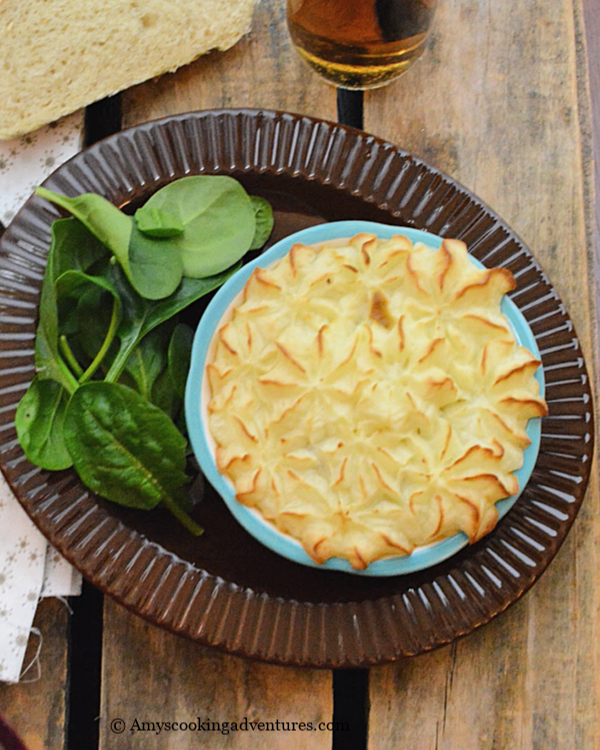 What an appealing looking cottage pie! So pretty to look at, and I'm sure it's got fantastic flavour. You've got me curious to visit Wizarding World!